. إن الخدمات الممتازة وحسن الضيافة العالي في Blue Mountains YHA تجعل إقامتك تجربة لا تنسى. هذه بعض الخدمات الموجودة في هذا الفندق: مرافق مخصصة لذوي الاحتياجات الخاصة, تخزين الأمتعة, واي فاي في المناطق العامة, صف السيارات, غرفة عائلية. لقد جهزت هذه الإقامة الفندقية بعناية فائقة لتوفر مستوى عالي من الراحة. في بعض الغرف يجد النزيل سجاد, بياضات, مناشف, اتصال لاسلكي بالإنترنت, غرف لغير المدخنين. يقدم الفندق مجموعة واسعة من وسائل الراحة المتنوعة، كمثل: حديقة, غرفة ألعاب. استمتع بخدمات لا يعلى عليها وعنوان ذو اعتبار في Blue Mountains YHA . إن الحد الأقصى لإشغال "الغرفة العائلية لبالغين وطفلين" هو نزيلان بالغان وطفلان. وستُفرض رسوم إضافية على أي نزلاء إضافيين. A v nice YHA, great value, nice old building with a very warm and peaceful ambiance. good access to Katoomba high street and the blue mountains hiking trails. a few of the staff are a bit serious and unfriendly. the cleaners seem to be closing the common areas and bathrooms a lot during daytime. the place is spotless, but sometimes they closed the kitchen area for two hours in the daytime when no cleaners were even in there. Big kitchen and dining area and sofas to rest or chit chat with friends. Location a bit far from train station, about 10-15 mins from train station, but not an issue if you are young and energetic like me. Nearby to the hostel are Aldi and Woolworths supermarkets where u can get your daily groceries at fair prices. Place is clean. Can walk to scenic world and echo point in less than 30 mins. After that (already tired) u can take the shuttle bus back (cost around $2.17) and the bus stop at Carrington Hotel. I encourage u to go to Laura Town as well, which is one train station away. U can visit the toy and Railway museum there and enjoy the beautiful small town lifestyle. Free parking at the back of the building. Located next to the Police Station and 1min walk to Coles Supermarket. Surprise to get a room for 3 persons with private bathroom. Key card for room can also access the main entrance at night. Kitchen is big. Located at the ground floor next to the living hall. Eco Point lookout & Scenic World just 3mins drive. The white bed sheet & pillow case must remove when check out. Will definitely come back again. i was only in Katoomba for one night and this was a good stay. Easy walk from the train station and supermarket nearby. Staff were friendly. The dining and sitting area were spacious so there's always space to relax. Room was clean and comfortable. Huge kitchen with all u need to cook a great meal. By far one if the best kitchen I have come across. Great location with Coles n Woolworth within 5 minutes walk away as well as main street of Katoomba. Echo Point is also less than 10 minutes walk. Excellent for what I have paid for a Private bunk beds room with ensuite bathroom! Pros: 1. Price is extremely affordable. 2. The room comes with a bunk bed consisting upper single bed and lower double bed, giving enough space to accommodate 3 adults! 3. The toilet is surprisingly spacious and comes with a heater. 4. Blue Mountains YHA is located just 1-minute walk from Aldi, Woolsworth and Big W supermarkets and all the eateries are just within 3-minute walk. 5. Free on-site car park is provided. Cons: 1. No hair dryer is provided in the room. Friendly staff which helped me a lot but the reception only opens from 8am to 8pm. There is an area with lockers for people to store their luggage after check out which is quite convenient. Absolutely wonderful stay! Had the pleasure of a week here but I could have stayed for months and been totally at home. The place has such a nice feel – super-clean, quiet, friendly and homey. Everything I needed was there, including a lot of genuine and fun people. The staff was very helpful and kind, showing me areas for great hiking and also good tips on cool shops in town. Despite my solo adventuring, I definitely never had a moment where I felt alone while in the Blueys! Thank you all, will be back at the YHA next time around. Friendly staff (and 1 male staffer is especially kind and helpful in telling me which hiking trails I can go as some bushwalking trails near Wentworth Falls were temporary closed at the time I visited). Spacious kitchen with adequate cooking utensils and fridges. Very comfy common and dining areas and so good to have a courtyard where you can sit outdoors. Very clean toilet and shower room. There is a coin-charged locker area in the TV room where you can store your luggage after checking out. Good location. 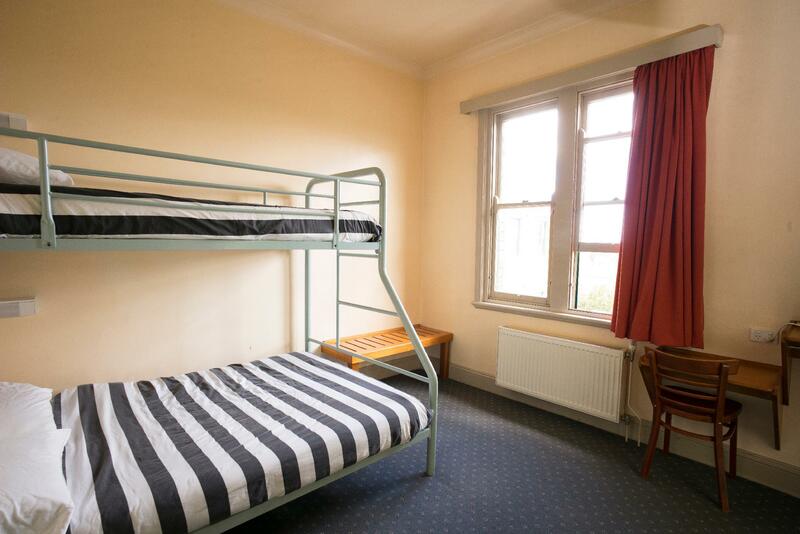 Large hostel with plenty of indoor and outdoor lounge/dining areas. The staff were all nice and helpful. My key card kept deactivating and I would need staff to recode (1 time after reception was closed,) I later heard from another guest & realized it was because my iPad kept demagnetizing the card. The staff hadn't mention that may occur. If your room faces the courtyard, you'll be listening to noises until quiet time (approx. 11pm.). The room was very spacious and had individual lockers. The female toilet/shower requires your key card to access. The wifi was good. My only con about the stay was that I was placed in a room with 5 very young (teen or early 20s) travellers who were travelling together and while I am travelling alone (in my 30s.) Thank goodness they only stayed 1 night of my 2 night stay. All in all the hostel was simple, clean, and had everything one would need. I was travelling with my 3yo boy and stayed for 1 night in Aug 2016, it is actually quite a good walking distance from the station, just me with the boy was a bit difficult; the staffs are friendly and helpful, we enjoyed the stay! Loved everything about Blue mountain YHA..it appears more like a resort. Walked perhaps 10mins frm Katoomba train station to YHA. Just straight down e lane. From YHA 5mins walk to the left with Woolworths & Aldi supermarts. Perhaps 8mins to the left w Coles. Very convienent opend till 12midnight. Kitchen is always so neat & organised. You can contribute your food or get free food on at the bottom of the fridge. Plus point a water dispenser right at the kitchen. Cosy environment at the Common area & eating tables . Beddings r comfy & quite firm...However pillow kinda thin need fold into half. Overall slept well with no back& neck ache. U have a bedside lamp & 2 AC plug for charging. Bring own locker & keys. Will book this hostel again if visiting blue mountains! Definitely more than what i expected for the price of usual hostel fee. Downside floors quite squeaky along the corridor walkways.. I loved this place since the first time. It has the best vibe, it is quiet, relaxing, very social and friendly while easily being able to maintain privacy and space. Always clean. Warm and cosy, with fire places, took my family there, go sometimes alone, took my boyfriend, and it seems to fit everyone's taste. The room could be a bit updated for sure, we took the queendouble room, and the bed could do with a better set of sheet, a side table with power access and better pillows, but it has its charms, and I will keep on coming. We stayed here for 2 nights in Sept 2016. With the windy weather, it was such a delight to step into a warm hostel. The common area has a heater, the room has a heater, and even in my bathroom! We stayed in an Ensuite for 2 nights, and this is by far the best hostel ever! This hostel has everything a hotel has AND a shared kitchen. We stayed in a room with a double bed and private bathroom and it was great! The common kitchen was very tidy with regular cleaning sessions. Very cute verandas where we enjoyed dinner in the sunset. Not all personnel were happy to help with hiking tips which was quite annoying as that's the reason why we were there, and also not very easy to communicate with. Very close to supermarket, but a bit too far away from echo point. I hate to disclose my secrets as a Travel Writer but this must be the cleanest Most comfortable relaxed Hostel in the World! 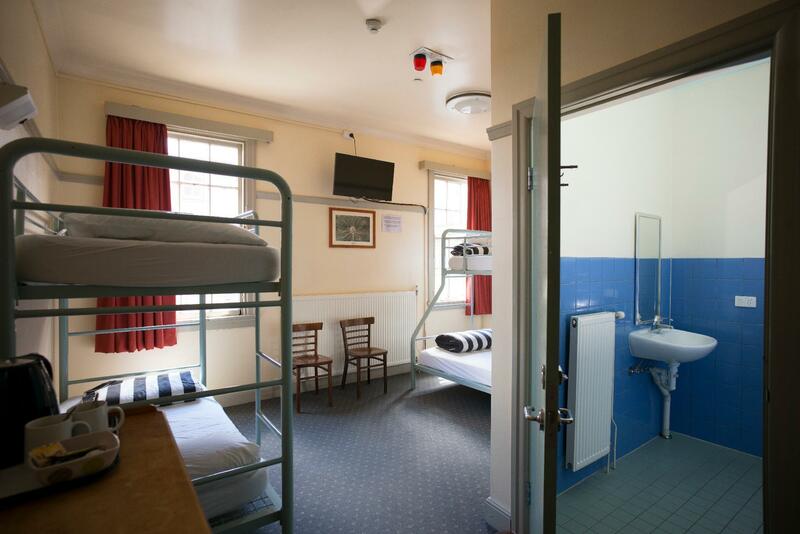 Katoomba YHA feels like a 4 Star Hotel more then a Hostel! fabulous Lounge/ TV room and Kitchen Dining Room where guests enjoy the civilised atmosphere of the mountains! They just introduced Piped music(acoustic wallpaper) and This is a great spot for Groups, with Conference facilities etc they have Hotel singles and doubles as well and it's probably the cleanest Hotel/Hostel I have ever seen on my trips as a Travel Writer! amazing really Everyone loves it up here! It does get busy on weekends so book in advance! Oh yeah almost forgot. Friendly professional staff too! My husband and I are in our late 50's and it was our first experience in a hostel and we loved it. We had a very comfortable private room with ensuite. The common areas and kitchen were very clean, staff very nice and extremely helpful and I would definitely recommend this YHA. We stayed in another hostel in Brisbane and it didn't compare at all to this one.